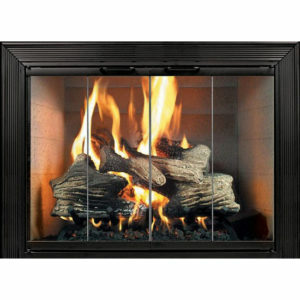 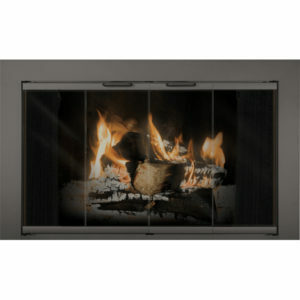 The Special Z Zero Clearance Fireplace Door is perfect for a factory built fireplace. 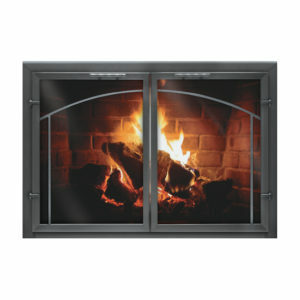 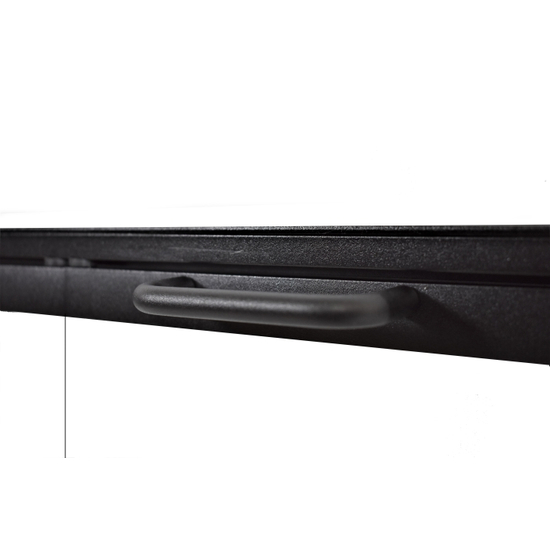 This Thermo-Rite door will fit as if it was made for your fireplace. 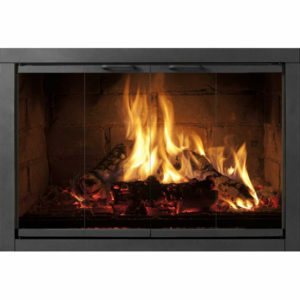 Just provide us with the correct measurements and the shape of your firebox opening: straight-on or angled. 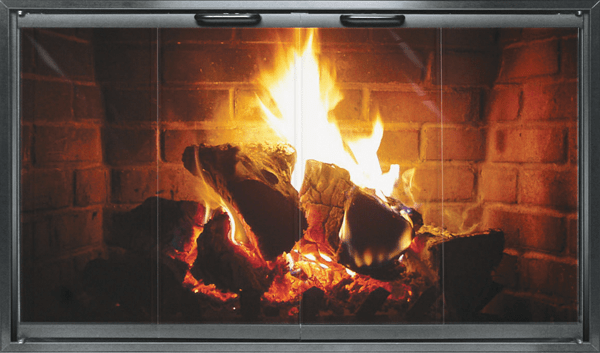 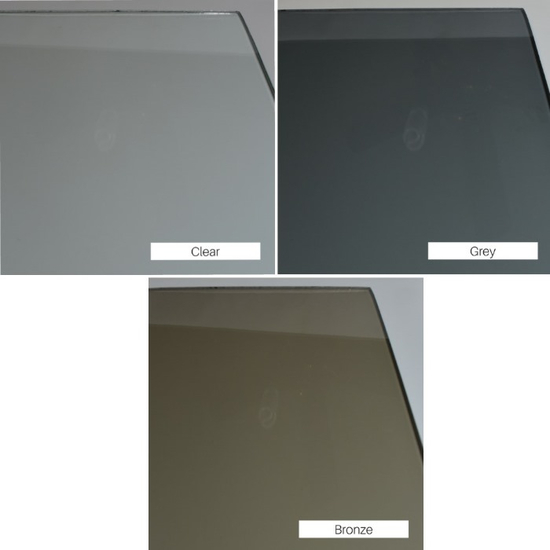 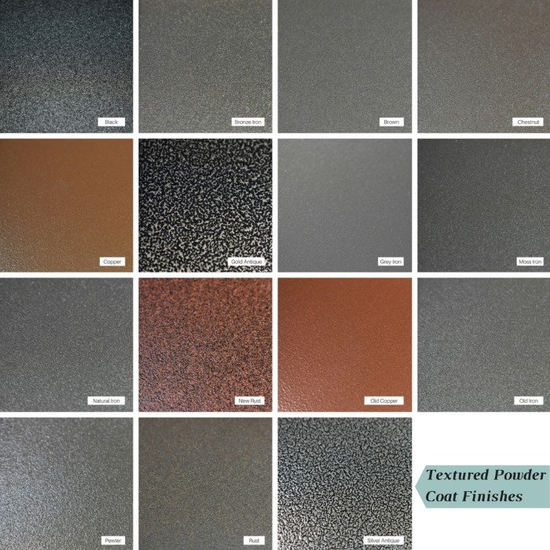 An inside fit frame with a 7/8″ wide aluminum frame, this prefab fireplace door is offered in several beautiful finishes and glass tints for the ultimate customization. 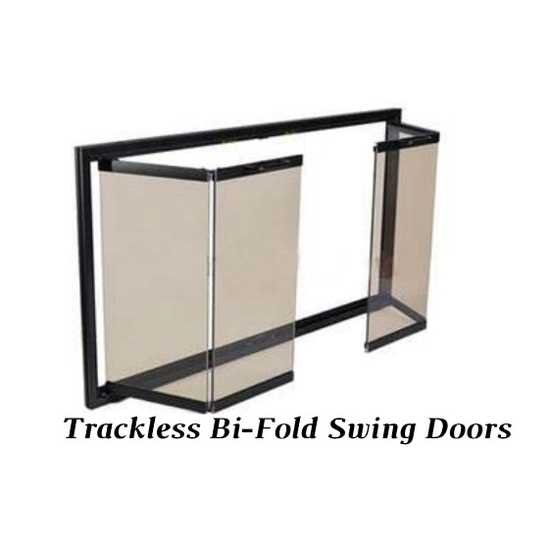 Opt for the 25 gauge steel mesh doors when the trackless bi-fold doors are open and the fire is burning to keep children and pets away from the flames.